If you’re a Lethbridge business owner, or you’re trying to more effectively engage with your organization’s target audience, chances are you’ve struggled with getting results from your website. Once it was enough to put a few web pages online, hang up your “open for business” sign and expect customers to come rolling in. But there’s no denying that things were easier in the “old days.” In 2006, for example, there were about 85 million websites online around the world. Today there are 10 times that many. Things are more crowded. Competition is fiercer. And it’s getting harder and harder to be noticed online. Which means if you’re like many business owners or marketers, you’ve probably discovered that the “set it and forget it” approach stopped working a long time ago. Online marketing has changed. Completely. And if you’re not trying to make your website work to get you new customers, your competition may already be running rings around you. The truth is that finding customers and clients online is, at its core, about doing three simple things. And when you look closely, you’ll see most of them are a lot like the offline marketing processes you’re probably already familiar with. 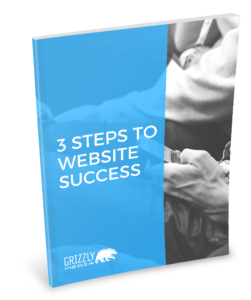 Understand these key concepts and you’ll be well on your way to online success.